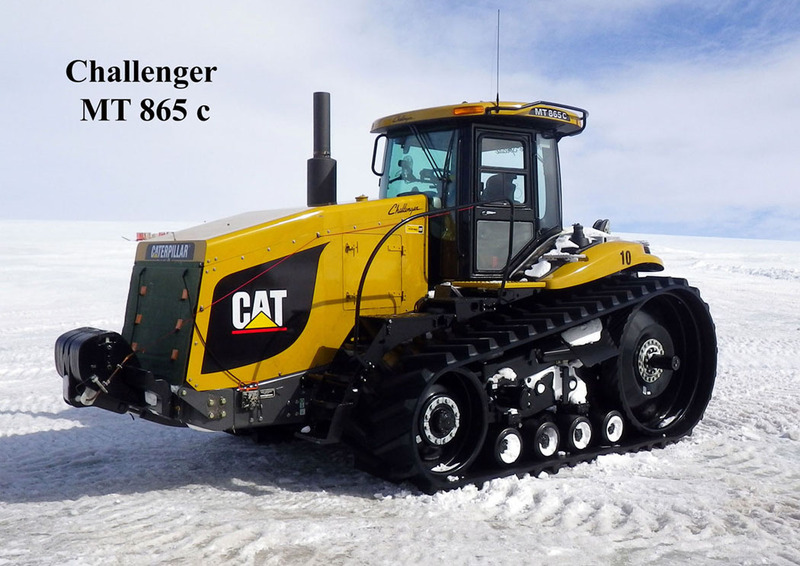 The Challenger tractor series 65 and MT 865 have benefited from the expertise developed by Caterpillar in this brand known for its civil engineering applications. 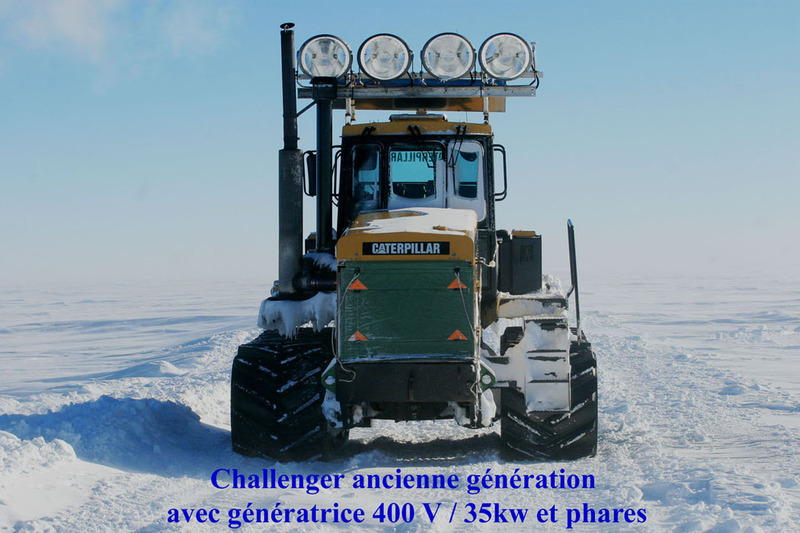 These machines have low ground pressure (less than 300/350 HPa), a powerful engine and simple robust design. With a conventional direct drive powershift transmission (hydraulic clutch and semi-automatic transmission), the Challenger 65s have an operating weight of 15500 kg with 22000 kg for the MT. Their maximum speeds unloaded are 30 km for the C65 and 39 km for the MT, down to operational cruising speeds when towing loads of 10/13 km/h for the C65 and 12/16 for the MT. 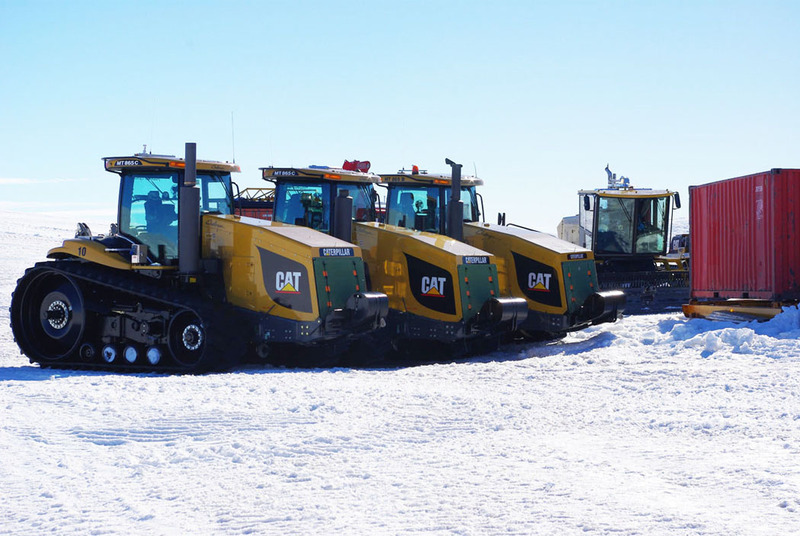 The Challenger 65 and MT 856 series are low maintenance. 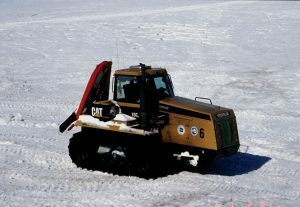 They can safely tow at maximum capacity as track slip will occur before any excessive mechanical stress. When towing on uneven ground at the maximum capacity permissible for the surface quality, the tractor can occasionally skid and stop. This difficulty, inherent in a surface of inferior quality such as névé, has however been overcome by attaching machines in tandem and redistributing loads between them.